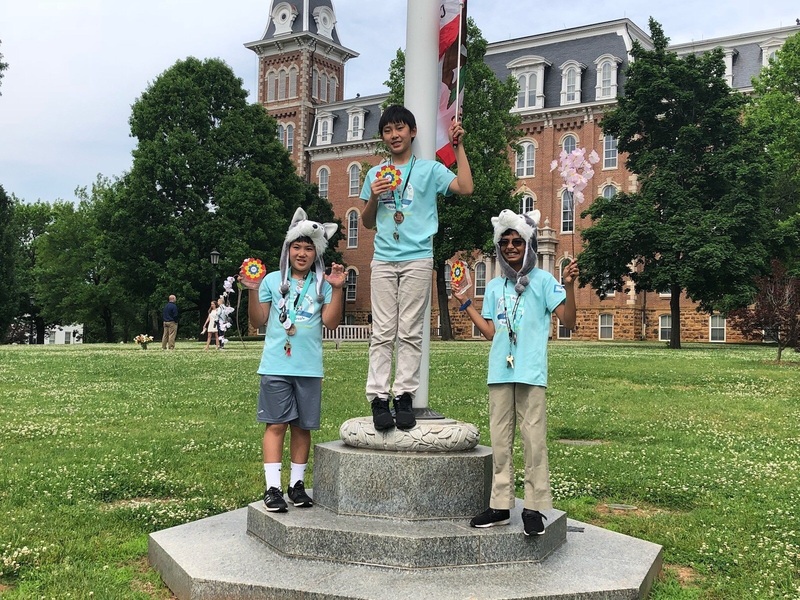 First Lego League robotics team Alpha Wolves – sixth graders Jordan Labio, Dustin Miao and Kabir Ramzan – had an admirable run at the Razorback World Invitational in Fayetteville, Ark., held May 17-20. The team placed second in the robot alliance competition and overall project, and took a respectable ninth place in robot performance. The Alpha Wolves qualified for the event in January after winning the Silicon Valley Championship. A world-level competition, the Razorback World Invitational featured 58 of the best teams in the country, and 14 from around the globe. More than 35,000 teams competed in this FLL season, which started last summer. Only 500 qualified for world-level events.